Who can't delight in a great give-away? 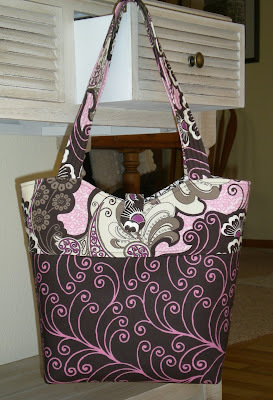 Suzanne of Just Another Hang Up is giving away one of her adorable bags. I must confess I saw her blog quite some time ago and I've enjoyed seeing her creations. Every so often she does a give away - and this one is probably my favorite. Go on over, check her out and enter for a chance to win!